A day back, I got a bunch of bright-red truss tomatoes, so asked hubby if he would like to have a bowl of soup followed by quick curry n paratha or so… & he said NO! I definitely was willing to… but then felt like I was tempted ‘coz of those tomatoes only :P Doesn’t matter what I cook, it has to have tomatoes as a main ingredient!!! ;) Thought of Sev-Tamatar Subzi, any kofta with red gravy or salad… But my mind didn’t accept any of those ideas. 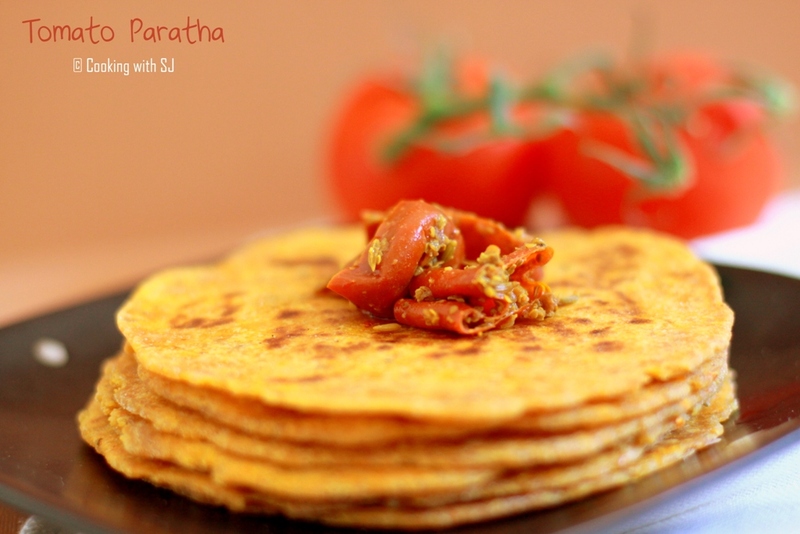 At last, decided to make paratha only with mixed beans curry… Ohhhh wait, paratha with my favorite fruit (ohhh yes, it is) – ‘Tomato Paratha’ and it was a super-hit!!! Grind tomato, ginger and garlic all together to make a smooth puree. 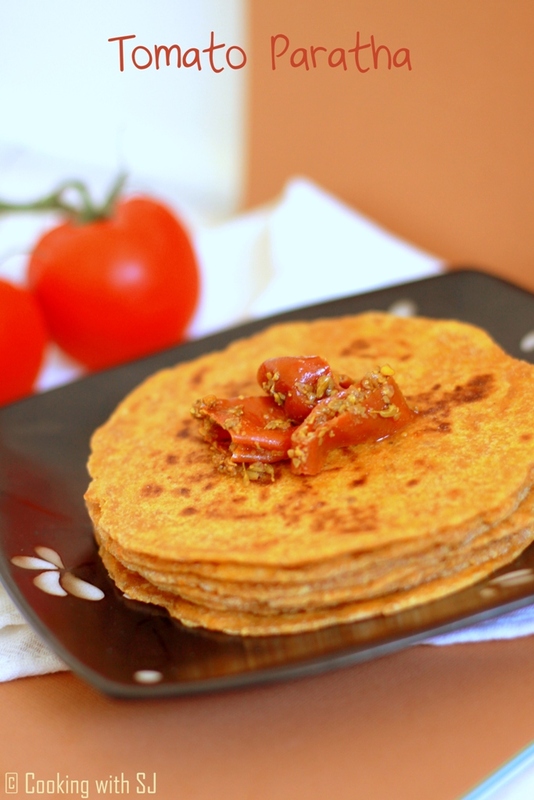 Mix all the spices, oil and prepared tomato puree with wheat flour in a big bowl. Knead a soft dough by adding water as required. Cover with a cling wrap and let it rest for half hour. Divide the dough in 10 equal portions and roll them out medium-thick to make approx 7-8″ in diameter. Cook them one by one on hot griddle by drizzling oil on both the sides, until you find brown spots. Serve hot with any curry or a dollop of pickle! You can eliminate red chilly paste to avoid heat factor. Optionally, use finely chopped green chilly or red chilly powder. Even kashmiri chilly powder will work great. 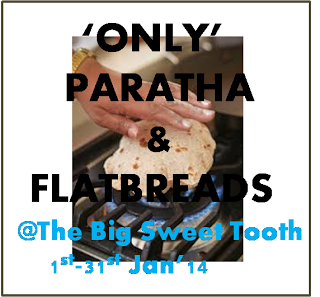 These parathas (if rolled out thin) can be used as tortillas for making wraps!!! ← Want to order chocolates?